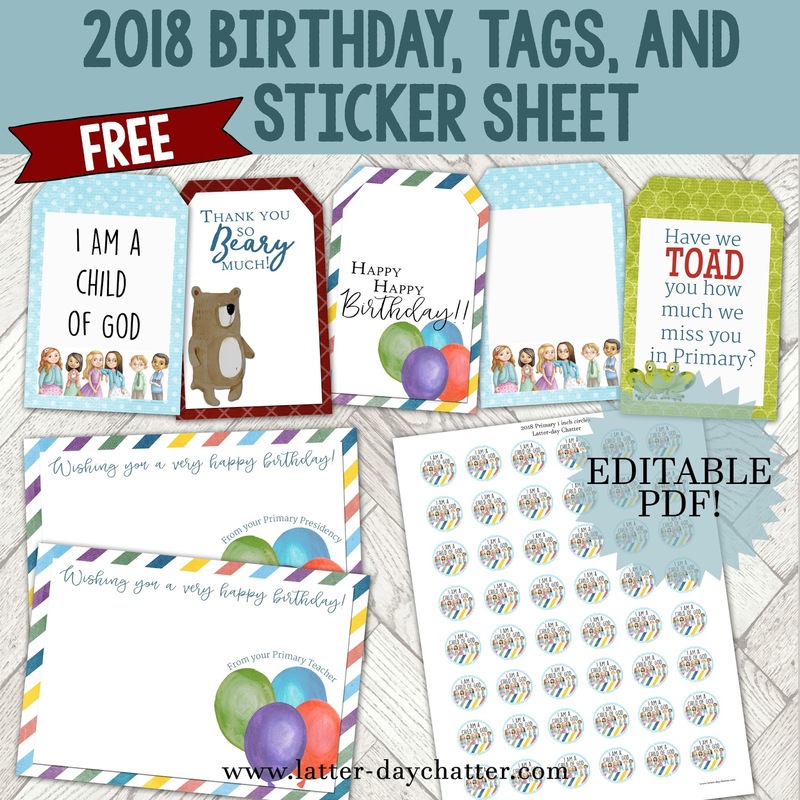 This download is loaded with birthday and Primary thankful-ness goodies! Included in this download is a 48- 1in "sticker sheet" that can be used for marble magnets, zipper pulls, necklaces, etc. A birthday card from the Presidency and one from the teacher. And my favorite, 5 little tags to add to your mission!